This pathway provides a diagnostic imaging algorithm for adult patients with confirmed haemoptysis. 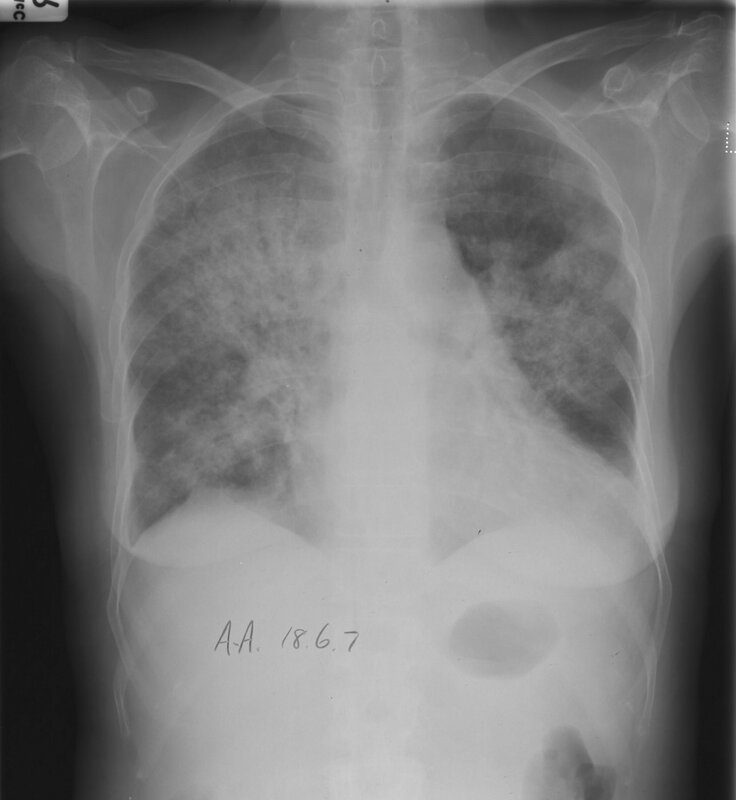 Image 1 (Plain Radiograph): Pulmonary tuberculosis is an important cause of haemoptysis. 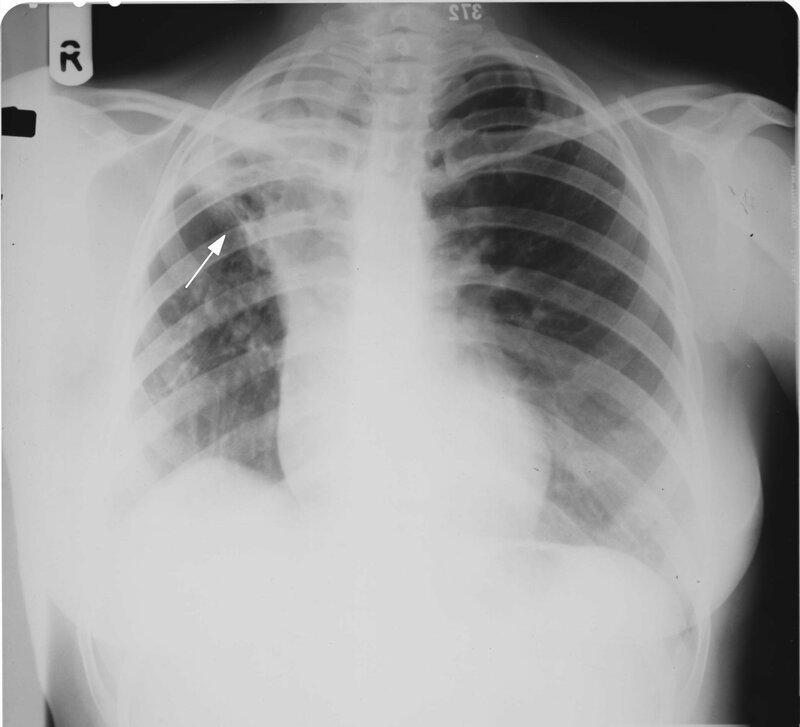 This chest radiograph demonstrates patchy bilateral opacification of the upper lung lobes with cavitation most marked on the left (arrow) consistent with post-primary tuberculosis. 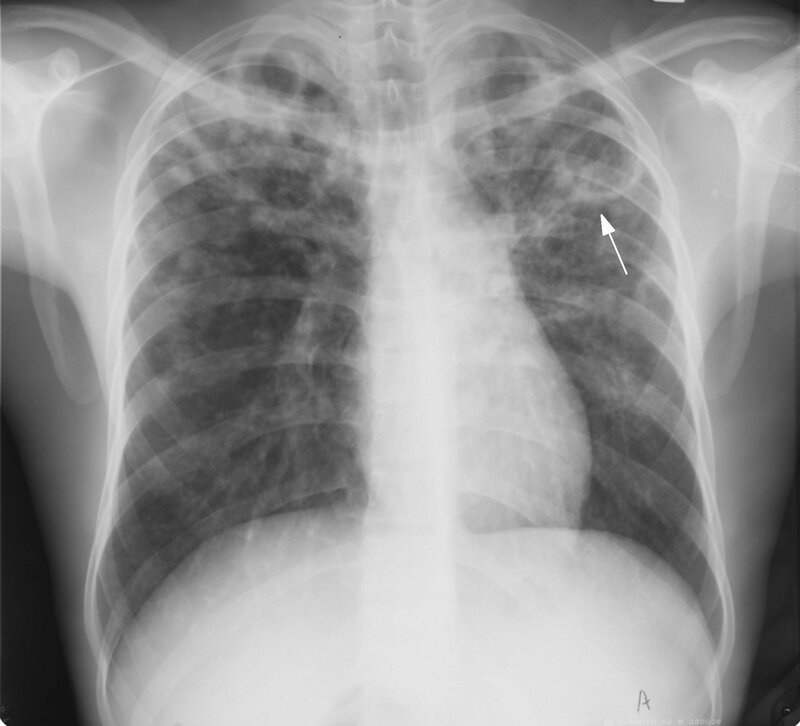 Image 2 (Plain Radiograph): There is widespread airspace opacification of both lungs with air brochograms. 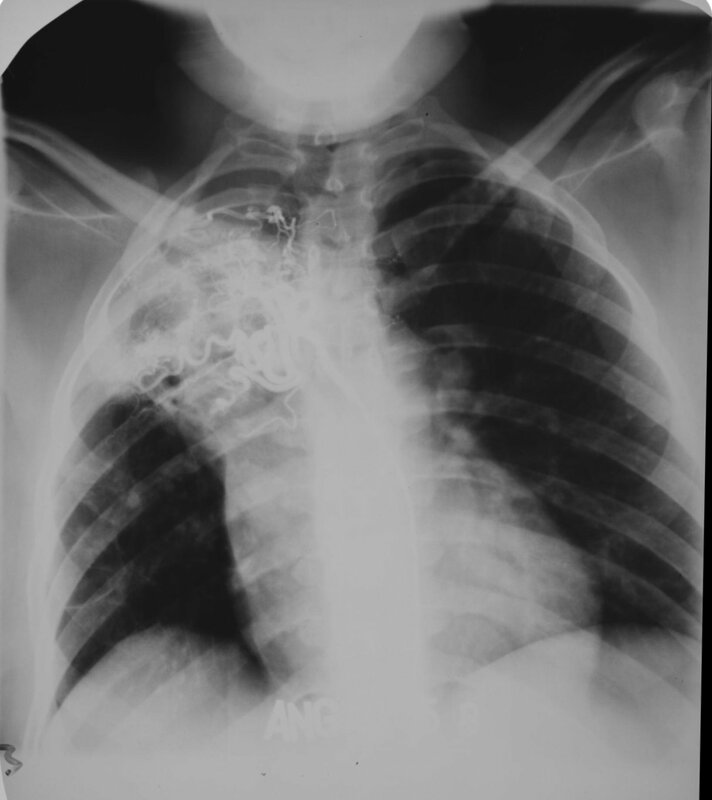 This patient had bilateral pulmonary haemorrhage due to Goodpasture's (Anti-GBM) syndrome. Image 3a (Plain Radiograph) and 3b (Bronchial Angiogram): Image 3a demonstrates right apical consolidation with cavitation due to mycetoma formation on a background of tuberculosis (arrow). The bronchial artery was embolised with gel foam and coils due to recurrent haemoptysis (Image 3b).